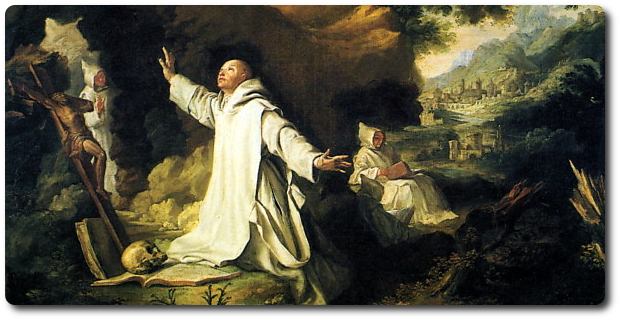 1084 St. Bruno, together with six companions, founded the first monastery in Chartreuse, near Grenoble (France). 1090 Pope Urban II calls St. Bruno to Rome as personal advisor. Several months later, Bruno receives permission to once more retire to solitude and establish the second monastery in Calabria (Italy). 1101 Death of St. Bruno. 1122-1127 Guigo, the fifth prior of the Chartreuse monastery, writes the community’s customs (Consuetudines), which becomes the first code of laws for monasteries that want to embrace the way of life of Bruno’s family. 1132 Avalanche destroys first monastery. Guigo rebuilds it in its present location. 1141 First gathering of the general chapter, which henceforth has the ultimate authority in the Carthusian Order. 1403 Count Herman II of Celje establishes Pleterje Charterhouse. 1471 Turkish attack destroys Charterhouse. Rebuilt Charterhouse resembles fortress. 1593 Due to material and spiritual decay, Archduke Ferdinand II hands over Pleterje Charterhouse to the Jesuits of Ljubljana. 1773 After suppression of the Jesuit Order, Pleterje becomes state property. 1839 Pleterje becomes privately owned. 1899 Carthusian Order repurchases Pleterje. Building of new Charterhouse begins. 1904 Completion of Charterhouse’s rebuilding. November 3 Pleterje Church consecrated to Mary, under title “Throne of The Most Holy Trinity”. 1943 “Partisan” communist attack destroys 17 cells by fire.